New Web Ads: Now Even More In Your Face! Just when you thought there were too many ads on the web, the Online Publishers Association (OPA) http://www.online-publishers.org/ have created a new set of advertising units. The idea behind the new advertising formats is to improve on the old banner ads we all love/hate (delete where appropriate). 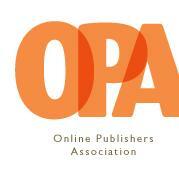 In March of this year, the OPA announced three new ad formats. And in case youâ€™ve been having difficulty seeing the current crop of ads and banners on the web, youâ€™ll be delighted to know that the new ad units are even BIGGER. â€¢	The Fixed Panel, which is 336 pixels wide by 860 pixels high, and will be embedded in the page as normal. â€¢	The XXL Box has dimensions of 468 pixels wide by 648 pixels high, and will have video capability and functionality allowing page-turning. â€¢	The Pushdown is weighing in at a hefty 970 pixels wide by 418 pixels high. (No need to use your glasses to see the ads anymore) The proposed use for this one is to initially open full size and then roll up to the top of the page. The ads are currently not available for everyone to use. An exclusive club of 27 publishers are the first to experiment with new ad units, and they really are the big boys. Initial participants include CNN, MTV, FOX News and The New York Times. Trials started in March and will continue until July. If the ads are successful during the trial period, itâ€™s fair to assume it wonâ€™t be long before they become commonplace on the web. So as designers, this will be another factor we will need to consider as part of our web design and layout. All of the ads are fairly large, so the challenge will be to ensure that the important content youâ€™re trying to get your users to focus on, is not dominated by the ad. Or it could be the case, where like TV, the ads are sometimes better than the programs. Having said that, it could be a really exciting time for internet ad designers. It will be interesting to see some results from the trials. The Pushdown ad sounds like it could be intensely annoying for visitors, even if it rolls up quickly, but for a web designer creating ads, this could be great fun. So what do you think? Will these ads add to the nightmare, or is it a new opportunity for designers?